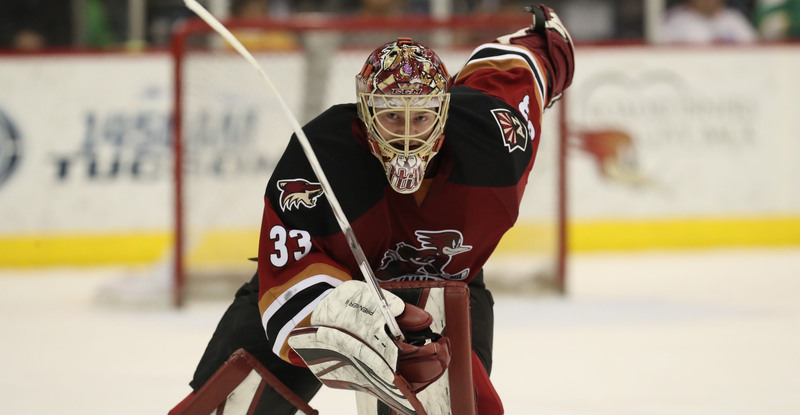 The 21-year-old Hill has registered a 14-10-3 record with a .911 save percentage (SV%), 2.41 goals against average (GAA) and two shutouts with the Roadrunners this season. The 6-foot-4, 203-pound goaltender has also posted a 1-3-0 record with an .891 SV% and 3.49 GAA in four games with the Coyotes in 2017-18. The Comox, British Columbia native was originally drafted by the Coyotes in the third round (76th overall) in the 2015 NHL Entry Draft.